The brake system equipped in your vehicle is a culmination of over 100 years of technological innovation, transforming crude stopping mechanisms into dependable and efficient pieces of speed variation equipment. 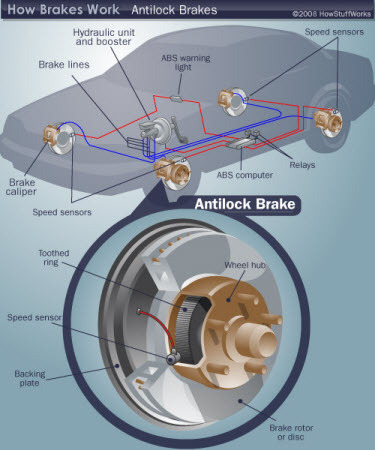 While brake systems vary by make and model, the basic system consists of disc brakes in front and either disk or drum brakes in the rear. Connected by a series of tubes and hoses, your brakes are linked to each wheel and the master cylinder by said network, which supply them with vital brake fluid (hydraulic fluid).